Wouldn't worry about it being official a large majority of old footie scarves wouldn't be official. 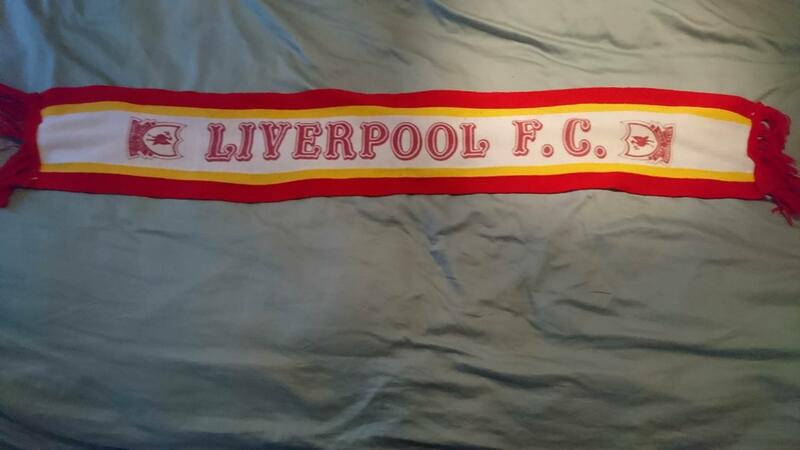 Judging by the badge on the scarf I'd say it was a late 80s scarf. Bit late to the party but think I had one very similar to that - must have been around 86/87ish because Dalglish was the manager.